These 1 inch twin tail grubs are great for small species. 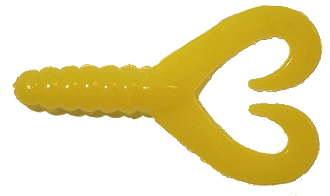 Add them to a jig or shad dart to make a fish catching magnet. This is a discontinued item.